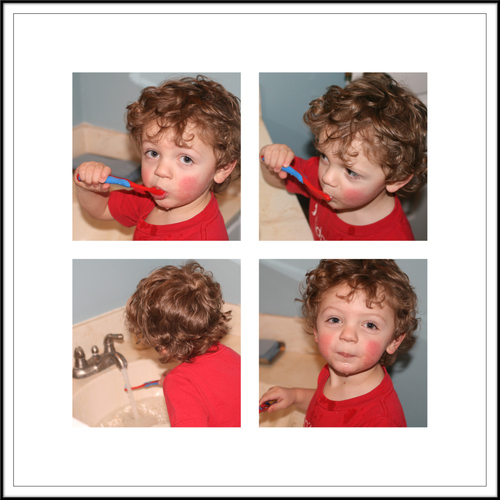 I am not sure if it is the spiderman toothbrush, the tasty toothpaste or the fact that Logan likes to play in the water but he just loves to brush his teeth and wash his hands. However, the water has to be turned on at full pressure or he throws a fit. Kids are so funny. This entry was posted on Friday, February 1, 2008. You can follow any responses to this entry through the RSS 2.0. You can leave a response.